The Fall 2016 semester has begun, and with help from UConn’s Office of Environmental Policy and the university’s energy provider, Eversource, the upcoming year is looking bright! 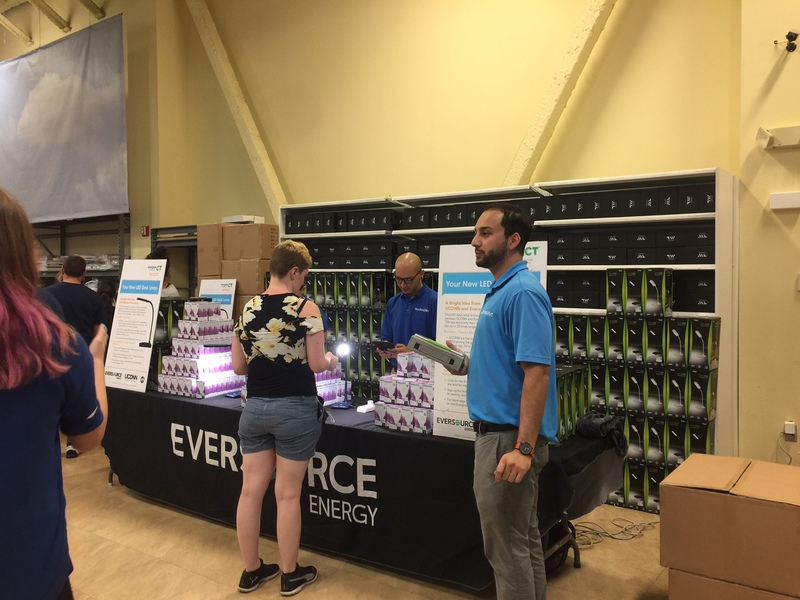 New and returning students who flocked to the brand-new UConn Bookstore to pick up their textbooks also received a complementary LED desk lamp with the UConn logo and a US B charging port. LED light bulbs are extremely beneficial in saving energy and money. The bulbs are up to six times more efficient than incandescent bulbs, and if they’re used 24/7, can last up to three years. They also emit less heat, avoiding potential dorm fires. As a result of their efficiency, students are expected to reuse the lamps for the majority of their time at UConn, resulting in less money spent on new bulbs or other lighting fixtures, as well as decreased energy usage. The LED lamp promotion is one way of continuing UConn’s commitment to reducing energy, living sustainably, and promoting environmental stewardship across campus. A total of 3,500 lamps were given out to students this year – an incredible number of people were interested in having energy efficient fixtures. Our strong partnership with Eversource, as well as student involvement, contribute immensely to our continual top ten ranking in the Sierra Magazine’s Cool School survey. We would like to extend our gratitude to Eversource and all of the students involved. Our goal of promoting interest and action in sustainability and the environment would not be possible without the help from all parties involved! Despite our best intentions, sometimes things don’t go as planned. As part of its commitment to reducing stormwater impacts to our local streams, UConn installed a rain garden at Mansfield Apartments in 2010. Unfortunately, it was not maintained and the garden failed. Fortunately, a collaboration of several groups helped to renovate this garden and restore its functionality. Rain garden before renovation. Turf dams had grown in and prevented water from entering, and all of the plants had died. 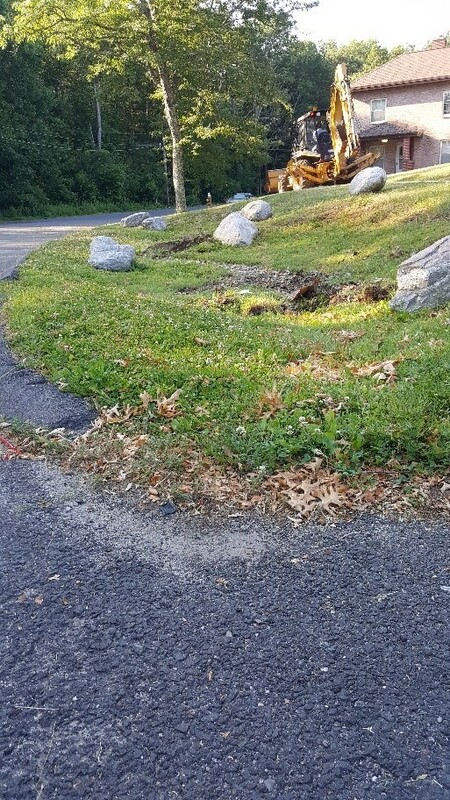 UConn’s landscape services provided heavy equipment to removed excess material from the garden, and they also provided stone for the “river channel” to prevent erosion. New plants were purchased with help from the Office of Environmental Policy though the UConn Campus Sustainability Fund. Students from UConn’s Natural Resources Conservation Academy (http://nrca.uconn.edu) used the garden as their project during their week-long natural resources field experience on campus. This exciting program brings high school students from around the state to UConn to learn about many different aspects of natural resource conservation. Working with Mike Dietz, students replanted and mulched the rain garden, and prepared a presentation about the project to all of the parents on the final day of the NRCA. So in the end, functionality has been restored to a failed rain garden, and the project turned into positive learning experience for an outstanding group of students!